Kangerlussuaq is Greenland’s main air transportation gateway. This small airport town belongs to Qeqqata Municipality, and has a population of approx. 600 people. Just 40 km from the ice cap, the town offers much more than an airport. Kangerlussuaq was founded by the Americans as a military base during World War 2. The military left in 1992 and today the small community supports airport and tourism operations. The hinterland is unique: It’s the best place in Greenland to observe muskox and the beautifully accessible nature offers good walks, bike rides or bus trips. 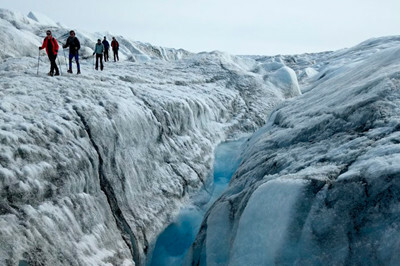 This is one of the few places in Greenland with direct access to the inland ice – you can even go for a walk on it! 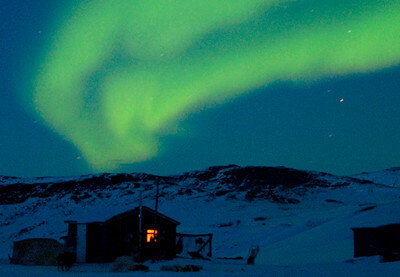 Kangerlussuaq is one of Greenland’s best Northern Lights (Aurora Borealis) spotting destinations. Located 190 km from the coast, the weather here tends to be more stable, with viewing possibilities from September through to early spring when the night sky is dark. Take a guided walking tour of the town. Kangerlussuaq is located in the heart of a beautiful fjord area with several thousand years of Inuit history, contrasting with the now closed American military base. Despite Kangerlussuaq's immediate dull appearance, there are lush areas to be found in the nearby hinterland. The profusion of plants attract muskox and reindeer. In addition, there are arctic fox, snow hare and a variety of bird species. The vast tundra is in stark contrast to the inland ice and deep blue sky. The area is filled with wild and beautiful images. Kangerlussuaq is one of the few places in Greenland where it’s possible to drive right up to the inland ice. 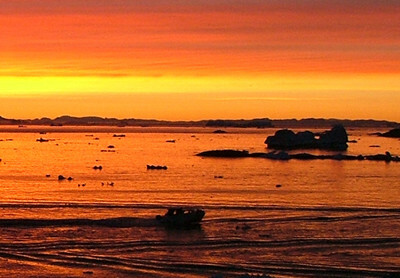 This tour gives you the opportunity to visit Greenland's ice cap. The front of the Russel Glacier is a 20-50 metre high wall of ice, which is incredibly photogenic. You might even witness the ice breaking off with a deafening crash! 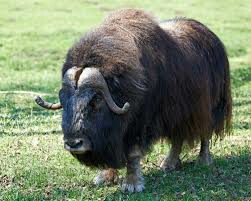 If you’re lucky you’ll see the area's wildlife: muskox, reindeer, snow hare, snow bunting etc. The inland ice reaches the coast in many parts of Greenland, but there are few places with direct access to enable you to walk on the ice yourself. The trip takes you beyond the Russel Glacier, through tundra and mountain scenery to ‘Point 660’ at 660 meters above sea level. Despite the harsh nature, there is plenty to look at. You’ll hear about the tundra, the mountains, the American military time in the area and of course the wildlife. The special thing about ‘Point 660’ is that you can walk directly on the ice cap. 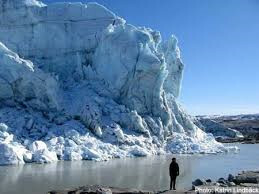 It really gives you a sense of how vest the ice cap is – covering about 80% of Greenland with this ice. If you’re up for an exciting adventure and want to learn more about Greenland’s vast ice cap, this overnight excursion is perfect for you. Starting with the regular drive to ‘Point 660’ (see tour above), you continue on to the ice and walk with the aid of crampons to Camp Ice Cap. The tent camp is already set up for your arrival and is in an expedition setting. Your ice guide is a trained professional, eager to show you this unique world of ice while teaching you a bit about glaciology. It’s an amazingly beautiful landscape on the ice cap and this trip offers totally unique opportunities for photography. Your photos will be amazing! Safety is paramount, so always listen carefully to the guide’s instructions. 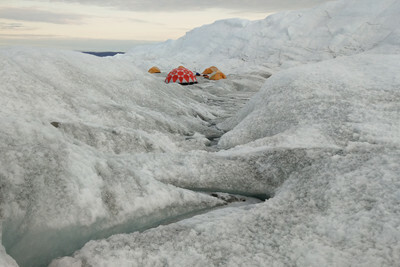 Bring warm clothes, hiking boots and curiosity to learn more about the Greenland ice cap. Equipped with crampons and hiking sticks, it’s no more difficult to walk on the ice, as it is on hilly terrain at home. With 500 metres of ancient ice below the feet, we find a beautiful place to eat our picnic lunch - water is included - directly from the meltwater! Kangerlussuaq is slightly north of the Arctic Circle, where sled dogs are permitted. 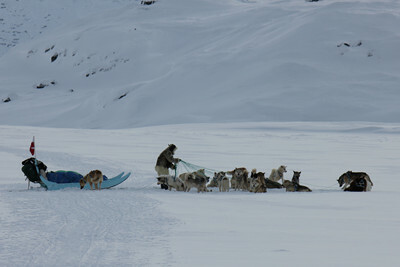 Dog sledding is naturally a popular activity here. The great thing about dog sledding in Kangerlussuaq is that the terrain is relatively flat in comparison to other destinations. It’s exciting for everyone to ride a dog sled, but in Kangerlussuaq it’s especially good for those who are a little less mobile. The winter is hard in Kangerlussuaq, but the dogs aren’t bothered by the low temperatures. They’re happy as long as there is frost and snow. What are the Northern Lights? The Northern Lights (Aurora Borealis) occur when electrically charged solar particles collide with the Earth’s magnetic field. 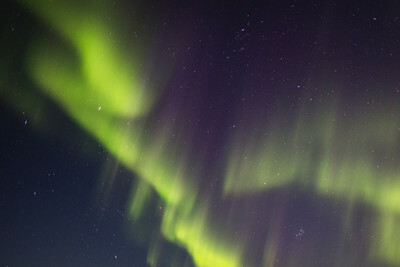 Attracted to the magnetic poles, the particles produce dazzling Auroral light when they mix with oxygen and nitrogen atoms. The phenomenon occurs year round but is only visible in a dark clear sky. Kangerlussuaq is one of the best places in Greenland to spot them, due to the generally stable weather. You’ll be driven to an area away from the light pollution of the town. Your guide will tell stories about the Northern Lights, and you’ll be served a very special and delicious "Greenlandic coffee" (with alcohol).